Before we start the next chapter it is wise to make a further 3 sets of textures. 2 - Sand. This I am using for the ground below sea level. 3 - Dry grass. This I am using for my upper ground. 4 - Small stones. (made in part 2) This we are using as our Rock gradient. Adam explained it when we made Phorum a few months back, for reference Here is his post. 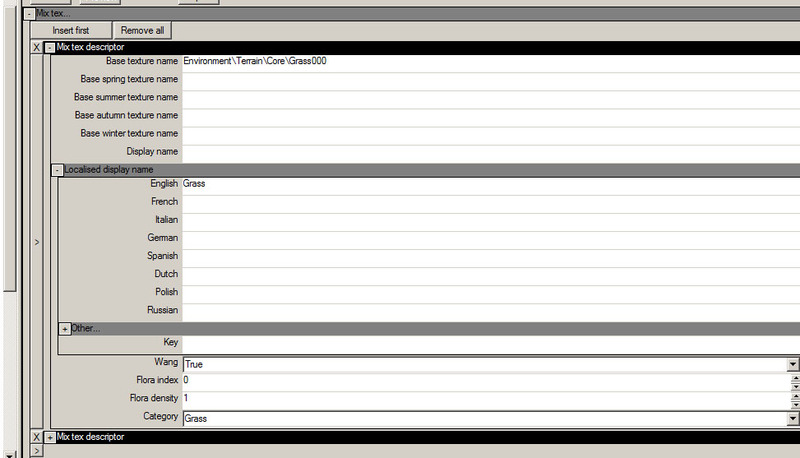 So, lets make our new terrain xml. RSderek the provider and Bishop is the poduct. Within that Bishop Folder make an Environment folder then a Terrain Folder. Within that Terrain folder you can make other folders to seperate out your various textures so that they are easy to find, Grass, Rock, sand, urban, etc etc. Now the fun begins. Load up RWs and start the Blueprint editor. Navigate to your Terrain folder and right click the folder, then select new Blueprint. 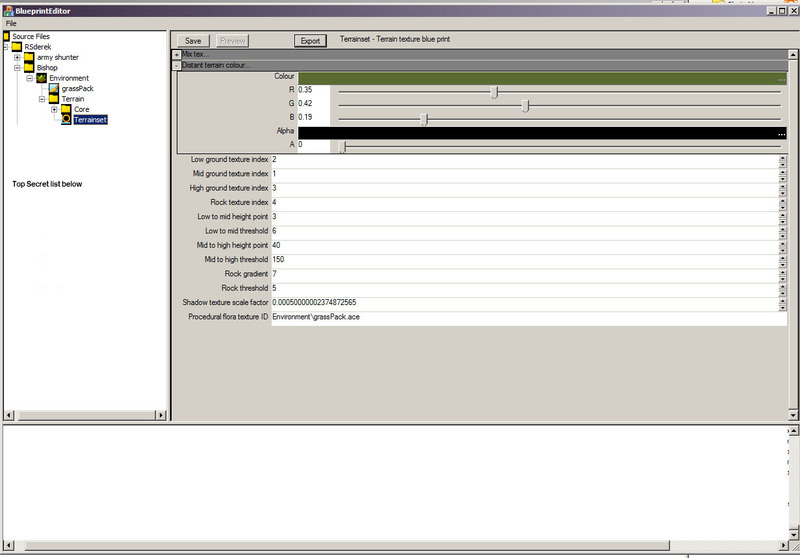 Scroll down the list to Terrain Texture blueprint, select it then click ok.
Rename the xml, I named mine Terrainset. 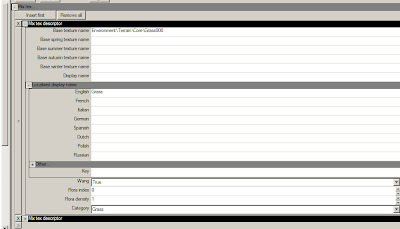 Below is an example of my basic parameters, set your something like it, looking back to Adams post for more refference. Ok, Now to add your Textures to the xml. Click on the little plus symbol at the top next to the work Mix tex. This expands the texture area. Right click the texture in the core folder and select copy file name. In the base texture name slot press Cntrl V to paste the string. Fill in the rest of the details like the image below. Note also that this is the order that the textures will appear in your texture list in game. When all done click save, then export. Next in Part 6 Referencing your terrain xml to in your new route. I don't understand where you get the grassPack.ace file. Nothing in this tut is talking about it.